For the first time ever on Blu-ray, Disney’s The Jungle Book (available as of February 11, 2014) is available for a whole new generation of children to enjoy with updated color and sound. 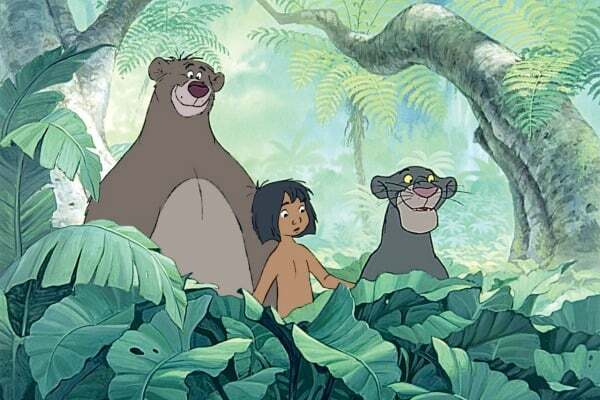 Explore the dangerous jungles of India with the man-cub Mowgli and his closest animal friends, Baloo and Bagheera, as they try to convince Mowgli it is time for him to leave the jungle and join the man village. When Bagheera, a panther, finds a baby boy in the jungle, he doesn’t quite know what to do about him. On a hunch, Bagheera leaves the baby for a wolf family to find and raise as one of their own. But when Mowgli becomes a young boy, the fearsome tiger Shere Khan is on a mission to destroy Mowgli from growing into a man. Bagheera takes Mowgli on a walk one day, not telling him that he won’t be going home to his wolf family. As Bagheera steers him in the direction of the man village, the duo encounters dangers such as Kaa and King Louis, who each have their own devious plots for the young boy. 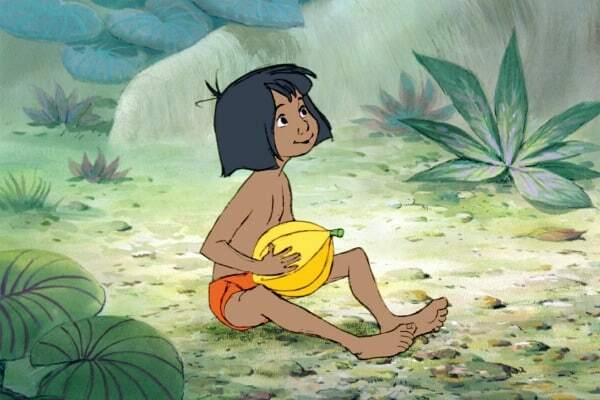 But the jungle isn’t full of just danger; Mowgli also makes friends with a free-spirited bear named Baloo and a group of vultures. And all together, they come face to face with Shere Khan himself! The Jungle Book was never one of my favorite childhood Disney movies—probably because it didn’t have a love story or princesses and princes. As I grew up and was discovering the classics, I even attempted to read The Jungle Book by Rudyard Kiping, the story on which the Disney film is based. I’ve enjoyed watching the movie over and over since it has been taken out of the Disney Vault, and am thrilled to have it in my Disney film collection—yes, even though there is no princess in it! Special Introductions: Diane Disney Miller (Walt’s daughter), Richard Sherman (composer), and Floyd Norman (artist) reflect back on how The Jungle Book came to be. Alternate Ending: The Jungle Book could have ended very differently! One of today’s current Disney story board artists was given the unique opportunity to story board the ending that never was. What do you think: would this have made a better ending? Watch it and decide for yourself. 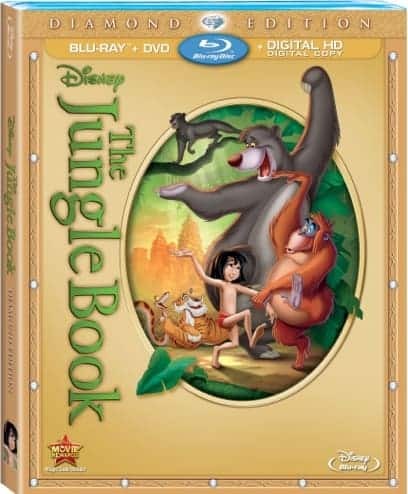 (Disney’s The Jungle Book Diamond Edition Blu-ray Combo Pack Review) It’s been a few years since I have watched this great classic movie. I saw it a lot of times when my children were younger, and they really liked it. Such an awesome movie! I always think they can’t do these remakes any better then the previous, but somehow they manage. This was one of my fave Disney films as a kid; can’t wait to share it with my kiddos. Thanks! I am really glad that are releasing this on blu-ray. This gives me a great chance to show my grandkids. I have to admit I’m interested in that alternate ending, too. Can’t wait to watch it with them and see it come alive again. I need to pick this up for the grandkids! I have a great love of all Disney movies and I can’t wait to introduce my son to this one. We have popcorn and sodas, laugh and sing along when we have movie night. It’s fun to explore the bonus features with him, too. I’m sure he’s going to love this movie as much as I do. I want to buy this movie. I found it at Walmart for 30$ with a bonus lunch box. I loved this movie when I was a kid!